The Late Spring 2019 Session will feature fourteen lecture series and five writing workshops. Alternatively, you can also view a PDF version of Learning in Retirement’s Early and Late Spring 2019 Session brochure. Registration for Spring 2019 is now open. Please visit our registration page to register now! 2. The Decline and Fall of Globalisation: The Waning of America’s Global Order? 3. Oh, Dear, What Can the Matter Be? 10. Theories of Personality and Beyond! Extravagantly illustrated with 400 images, this lecture series covers some 200,000 years, from Prehistoric times to today and beyond, in the Western hemisphere. Each period will begin with the broad historical context leading to the core meanings of architecture through the ages, tracing the development of one period to the next. To aid your understanding, the basic theory of architectural design will be included, together with associated disciplines of structure and applied arts. Together we will explore the challenges that all buildings must meet to qualify as architecture. Included will be revelations about Canadian Indigenous architecture. Lecturer biography: Raymond Stern graduated in 1960 from the Bartlett School of Architecture at University College London, England (Dip. Arch (UCL)). He became a Member of The Royal Institute of British Architects (ARIBA) and a Licensed Architect and Lecturer in London. Raymond was later a member of the Singapore Institute of Architects (SIA), and Professor of Architecture at the School of Architecture of the University of Singapore, specializing in Design and History. During this time he also held a research seat at the British Library in London. Raymond has worked as a Licensed Architect in Ottawa mainly on historical restoration projects and affordable housing development with the City of Ottawa. In 1997 he was honoured by the Mayor of Ottawa for his work in historical restoration. In 2008, he received an award from the Canada-Ontario Affordable Housing Program. 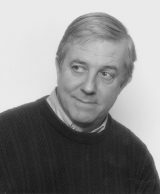 Raymond is now almost retired from architectural practice and furthers his work on research of the history of architecture. In the winter he is based with Natalie Stern in San Miguel de Allende in Mexico where for the last two years he has given a course in “The History of Western Architecture” at the Instituto Allende. For the past 15 years he has been a sculptor working in Montreal (raymondsternsculptor.com). The Decline and Fall of Globalisation: The Waning of America’s Global Order? How do we understand the world in the age of Donald Trump? What’s behind the populist backlash to globalisation? This lecture series examines six different perspectives that seek to explain the current “populist moment”. Participants will be encouraged to reconsider their own assumptions, and will engage with cutting edge international relations research on identity, empire, and gender, as well as mainstream perspectives and “insider accounts”. One of humanity’s obsessions has always been with what “stuff” is made of and why. We knew this empirically a long time ago: the Bronze Age superseded the Stone Age and was followed by the Iron Age. The Greek philosophers had four elements and their ideas became alchemy, which morphed into chemistry. But the hard atoms of Democritus disappeared into the fluff of quantum mechanics. Now we don’t even understand what the vacuum is. That’s progress? This physics lecture series will explore our understandings of matter, from the Stone Age to the beginnings of atomic theory, and then on to quantum mechanics, quarks and the Higgs boson. Lecturer biography: Peter Watson learned physics and math at Edinburgh and Durham universities, and joined Carleton University in 1974, becoming chair of the Physics Department and then Dean of Science. He has worked at CERN (Switzerland) and Oxford and Edinburgh Universities, and spent two years in Nigeria. In addition to a 40 year research career in theoretical physics, he has taught a wide variety of courses at all levels, many involving innovative teaching methods. Although he retired in June 2008, he has continued to teach, give public lectures and do research. In this World Affairs lecture series, we will discuss current events that are making the news. Hot topics of the week will be explored in depth, providing context and background for stories in the headlines. We will also be exploring some topics that did not make the headlines, but should have. The content will be determined weekly by emerging issues of importance to Canadians that affect our lives and our world. Come for lively discussions of the news that matters, led by a veteran Carleton University political scientist and media commentator. Perspective and analysis will be provided by the lecturer, followed by discussion with participants. Lecturer biography: Dr. Tepper is a veteran professor of comparative politics and international relations at Carleton University. He regularly provides media commentary at home and abroad on a wide range of topics, providing context and deep background to the news stories of the day. Dr. Tepper’s career in academia and public policy provides the basis for thoughtful analysis on current events, and his lifetime of teaching on-campus and through the public media provides the basis for an engaging, interactive classroom experience. An internationally recognized scholar, Dr. Tepper provides analysis and policy advice to national and international organizations. He has published widely, headed national professional organizations, received many research awards, and serves on the Boards of Directors of a variety of professional and voluntary associations. He is very active with the Ottawa diplomatic corps, academic seminar milieu, and with national and provincial political circles. Current academic titles include: Distinguished Senior Fellow at the Norman Paterson School of International Affairs; Senior Research Fellow at NPSIA’s Centre for Security and Defence Studies; Research Fellow, Conference of Defence Associations Institute; and Adjunct Research Professor at both Royal Roads University and in his long-time home, the Department of Political Science, Carleton University. Read what LinR participants have said about Dr. Elliot Tepper. The World Heritage Convention, adopted by UNESCO in 1972, marked a significant shift in international cooperation, bringing together the concepts of nature conservation and the preservation of historic and cultural sites. The success of the Convention has presented challenges and unanticipated consequences: politicization of the designation process; damage to sites caused by tourism; intentional destruction of sites; and the social and economic impact, both positive and negative, of designation as a World Heritage site. We will discuss these and other issues in the context of current World Heritage Sites in Canada and around the world. We will also address the future of the Convention. 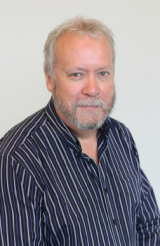 Lecturer biography: David Walden holds a Bachelor of Arts (Honours) in History and Political Science, and a Master of Arts in Canadian Studies, both from Carleton University. He has over 30 years’ experience working with UNESCO, culminating in his appointment as Secretary-General of the Canadian Commission for UNESCO in 1999. David’s extensive international involvement includes chairing the UNESCO Intergovernmental Committee for Promoting the Return of Cultural Property to its Countries of Origin or its Restitution in Case of Illicit Appropriation; the Executive Board and General Conference of UNESCO; the International Network on Cultural Policy; and the UN Economic Commission for Europe. A member of the Executive Management Committee of the Canada Council for the Arts from 1999 until his retirement in 2013, David now works as a consultant in international organizations and governance. Since 2013 he has also been a lecturer in cultural affairs and cultural policy at Carleton University, the University of Ottawa, and Brock University. David currently serves on the Board of Directors of the Perley and Rideau Veterans’ Health Centre (Ottawa) where he is a member of the Executive Committee and the Chair of the Stakeholder and Community Relations Committee. North American defence issues are situated in a complex political-military legacy shaped by national interests, the violent 20th century, the chaotic 21st, and the reality that Canada must accommodate the interests of its much larger and more powerful neighbour. These lectures will examine the origins of the Canada-US defence relationship, and its development through world wars, the Cold War and the post-Cold War period. The series will conclude with discussions of the implications for Canada of world-wide instability, the prospects for a new era of Great Power competition, and the destabilising effects of new thinking on nuclear weapons. Positive Psychology is the scientific study of human flourishing and wellness. In this lecture series, we will draw from research in personality, developmental, and social psychology that has identified clues to living a good life. Concepts discussed in the lectures will include happiness and well-being, resilience and personal growth, self-regulation, character strengths, and positive relationships. The overall aim of this lecture series is to provide you with an understanding of positive psychology, as well as to develop better personal insight into what might help or hinder your well-being. 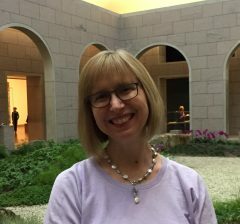 Lecturer biography: Dr. Jennifer Thake has unique training in health and well-being that includes a strong understanding of research and theory, as well as ground-level training in the delivery of services aimed at promoting holistic health. In addition to her PhD, Jennifer has completed an MA in counselling, and is a Registered Psychotherapist. This training has allowed her to apply her high level knowledge of health with clients at the ground level. She has been formally trained and clinically supervised in a variety of effective counselling methods, including cognitive-behavioural therapy, mindfulness and self-compassion, and motivational interviewing. Jennifer’s true passion is the promotion of health and wellness, whether in the counselling setting, a classroom environment, or workplace workshops. Jennifer is warm, knowledgeable and funny, and she uses these personal strengths to make talking about and learning about health and wellness feel easy, normal and non-threatening. Discover great art at the Carleton University Art Gallery (CUAG) with the unique “Look Club”! Join the gallery’s educator for coffee and conversation sessions about art works in Marlene Creates: Places, Paths, and Pauses (a retrospective exhibition of leading Newfoundland-based environmental artist and poet Marlene Creates). Inspired by her projects from the 1970s to today, we’ll learn about how Creates and other Canadian artists from CUAG’s permanent collection explore the complex and layered relationships between people and the natural world they inhabit. Focused looking, open discussion, and nearby “field trips” will lead to new discoveries about artists and art-making, and help you rediscover the joy of looking at and loving art. 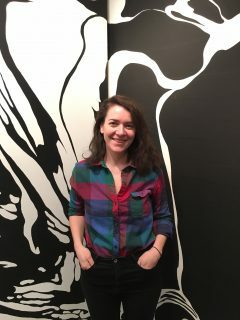 Lecturer biography: Fiona Wright is the Student and Public Programs Coordinator at the Carleton University Art Gallery (CUAG). She holds a Masters of Art History from York University (2011) and a BA Hons. from McGill University (2008). She has worked at CUAG since 2012, developing dynamic and exciting educational programming for the gallery’s exhibitions and permanent collection of art. Have you ever felt like a novice when it comes to art, and when you visit a gallery or a museum do you feel overwhelmed by all the landscapes and portraits of people in powdered wigs? And what the heck is that splash of paint on canvas? My kid could do that! This series will help you navigate the mysteries of the art world, and develop your knowledge, appreciation and comfort level when viewing and discussing art. The lectures will highlight works from the collection of the National Gallery of Canada, with reference to works from other collections. Each week we will consider a different theme, including portraiture, landscape, history painting, still life and symbolism, photography, and abstract art. 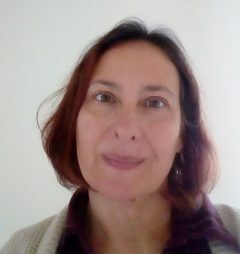 Lecturer biography: Maria Martin has studied and worked in the Arts for many years. She holds a Master’s Degree in the History of Art from Queen’s University, and a Bachelor’s Degree in Art History from Carleton University. Currently a Manager with the federal government, Maria previously worked at the Canada Council for the Arts as an Art Consultant at the Council’s Art Bank, and as an Education Officer and Guide at the National Gallery of Canada. “Spain is a scar on my heart. Do you understand? It is a scar that can never heal”. The Canadian doctor Norman Bethune wrote those words in 1938 before leaving for China, where he would achieve his greatest fame. But it was Spain, and that country’s civil war (1936-39), that gripped him like no other cause or conflict. Millions around the world felt the same way. In this series we will try to understand why. We will explore the war, considered by many to be a dress rehearsal for the Second World War, as well as its long-reverberating impact. Special attention will be paid to the more than 1600 Canadians who defied their government to fight on behalf of the Spanish government. 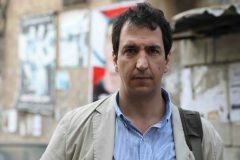 Lecturer biography: Michael Petrou is an adjunct professor in Carleton University’s Department of History, a fellow-in-residence in Carleton’s Global and International Studies program, and a lecturer in its School of Journalism. He was a 2018 Nieman Fellow at Harvard University. In 2017, he won the R. James Travers Foreign Corresponding Fellowship, which he used to report on Syrian refugees in the Middle East. He has reported on war and conflict across the Middle East, Africa, and Central Asia, winning three National Magazine Awards. His 2008 book, Renegades: Canadians in the Spanish Civil War, was described as “painstaking and clear-eyed” by The Globe and Mail. The Spanish Newspaper El Pais called it “beautiful.” His 2012 book, Is This Your First War? Travels Through the Post-9/11 Islamic World, won the Ottawa Book Award for non-fiction. Theories of Personality and Beyond! This lecture series will explore how people develop into unique individuals yet remain similar to others. In the first part of the lecture series, we will explore classical theories of personality and contrast them with modern models of personality. The second part of the lecture series will focus on aspects of “Dark Personalities” and “Pathological Personalities”. Finally, we will explore how personality research can be applied in everyday life, as well as how it is applied by professionals. As part of this class, participants will have the opportunity to anonymously take a series of personality tests. 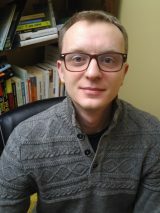 Lecturer biography: Misha Sokolov received his undergraduate degree from University of Ottawa in Psychology, where his research focused on emotional perception and emotional mimicry in the non-suicidal self injury population. Following that, Misha completed the Master of Cognitive Science program at Carleton University, focusing on emotional language production in the psychopathic population. He is currently a PhD candidate in the Department of Psychology at Carleton University, where his research is focused on the linguistic and para-linguistic factors that allow individuals to manipulate others. 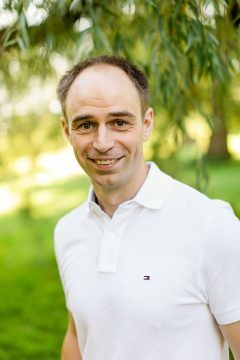 Aside from research, Misha takes immense meaning from teaching mini-enrichment courses for Ottawa area high school students, and has a deep personal interest in the philosophy of psychology and philosophy of science. This series will help you to navigate the mysteries of the art world, and develop your knowledge, appreciation and comfort level when viewing and discussing art. Each week we will gather together at the National Gallery of Canada to view artworks from the collection. There will be a different theme every week: landscape art; portraiture; representations of history and historical figures; still lifes and symbolism; photography; and modern/contemporary art. Lectures and discussions will take place in front of selected works in the Gallery’s collection. How can the cholera epidemic of 1832 and the Spanish Flu help us understand Ottawa’s response to the opioid epidemic? How would a feminist sociological analysis help us make sense of both the flannel that floods the Glebe every game day, and the “Log Driver’s Waltz”? In this series we will draw on urban sociology, history, and human geography for a series of unique takes on Ottawa, as both a national capital and a living city. This lecture series employs multiple perspectives, to present Ottawa as both a lens through which we understand broader national processes, and as a city in its own right. Note: The series begins and ends with accessible downtown walking tours, led by the lecturer. 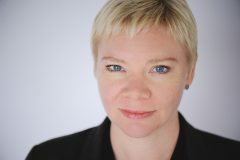 Lecturer biography: Tonya Davidson is an Instructor in the Department of Sociology and Anthropology at Carleton University. Her research interests have focused on questions of memory, national belonging, and the built environment. More specifically, Tonya has spent many years studying the social lives of statues in Ottawa. Her sociological research has been published in Journal of Canadian Studies, Space and Culture, The Public Historian, and Topia. With Ondine Park, she co-edited Ecologies of Affect: Placing Nostalgia, Desire, and Hope (2011, Wilfrid Laurier University Press). She is currently working with Ondine Park on a co-edited book for sociology students, called Seasonal Sociology (University of Toronto Press, forthcoming). In her free time she likes to give walking tours of Ottawa with Ottawa Detours. How does the real or imagined presence of others influence what we think and do? Experiments in social psychology have examined the power of social influence and group identity, as well as the role of socialization in the formation of our thoughts and actions. In doing so, they challenged assumptions that we are unique in our decisions and behaviours. This lecture series features a different social psychology experiment each week, to describe and explain human nature under the influence of situational and social forces. Can we make a difference in our and others’ lives by learning about our weaknesses and strengths? We will address and question conformity, prejudice and discrimination, and the role of social status and power, as well as prosocial behaviour. 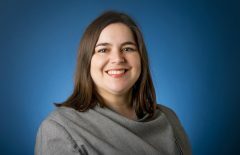 Lecturer biography: Dr. Ayça Güler-Edwards is a contract instructor at the Psychology Department in Carleton University. After completing her Bachelor’s degree (Business Administration with a minor in Psychology), she continued with her studies in social psychology and completed her master’s degree and PhD at the Middle East Technical University in Ankara, Turkey. Her main interests have been future time orientation, goal management, and personality. During her doctoral studies, she collaborated with Dr. Carsten Wrosch and completed her fellowship in the Personality, Aging, and Health Lab at Concordia University, Montreal, Canada. Since 2008, she has taught a Stress, Coping, and Well-Being Seminar to first year students at Carleton University. In this series of inspiring and engaging lectures, we will explore individual and collaborative creativity, using examples from photography, jazz, business, military, and other domains. To explore the theory and practice of creativity and problem-solving, lectures will draw on sociology, psychology, physics, biology, and systems theory. One class will feature a performance by a jazz trio. As participants explore the creative process, they will discover ways to unleash personal creativity, and help teams and groups become more effective. Lecturer biography: Adrian Cho practices and teaches individual and collaborative creativity to people and teams, drawing from decades of experience in business and software development (IBM, Fujitsu, Bankers Trust, and Shopify) as well as in artistic domains such as music and photography. 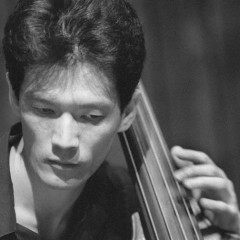 In over 40 years of performing music, Adrian has played a number of different instruments, and now performs primarily as a jazz bassist. Since 2006 he has been the Artistic Director of the Ottawa Jazz Orchestra. Combining his experiences in arts and business, Adrian developed The Jazz Process, an execution-oriented framework for collaboration, innovation, and agility that can help teams in any domain improve their performance. His book, The Jazz Process: Collaboration, Innovation and Agility, published by Addison-Wesley in 2010, has been endorsed by a diverse collection of thought leaders. Read more at adriancho.com. Read what LinR participants have said about Adrian Cho. Democracy thrives when citizens from all walks of life can express their opinions. There have never been more opportunities to join the public conversation, but it can be hard to make oneself heard. Writers who understand what editors are looking for from opinion pieces, including the unspoken rules and assumptions, will have better luck placing their articles. This workshop will train participants to write and submit opinion articles to newspapers and magazines. Participants will learn how to hook readers, convey expertise in a compelling way, and maybe even change a few minds. The same skills are also applicable to blog posts, social media, and letters to the editor. By the end of the workshop, participants will have a polished op-ed ready to submit. Lecturer biography: Kate Heartfield is the former opinion editor of the Ottawa Citizen, where she worked for more than a decade as a columnist, editorial writer and editor. In 2015, she was nominated for a National Newspaper Award in the editorial writing category. That same year, she left the newspaper and now works as a freelancer editor and writer. She also teaches in the journalism department at Carleton University, where she received a master of journalism in 2001. Kate also writes fiction; she is a double finalist for the Nebula Award, for her science fiction novella Alice Payne Arrives, and for her game, The Road to Canterbury. She is also the author of the historical fantasy novel Armed in Her Fashion. Her short stories have appeared in several magazines and anthologies. Kate is a regular online teacher for the Loft Literary Center and has given workshops in opinion writing to think tanks, non-profits and academics. 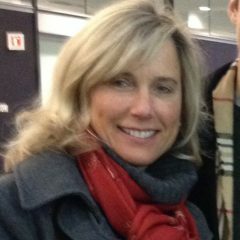 She is a longtime mentor/editor for The OpEd Project and Informed Opinions. Her undergraduate degree is in political science from the University of Ottawa. Kate’s website is kateheartfield.com and she can be found on Twitter as @kateheartfield. Are you experiencing your Third Act as a generative time of peace and joy? When we review some of our life’s events through a spiritual lens, we often discover much-needed Third Act wisdom. As an introduction to the life review process, this writing workshop will present six different contemplative activities and six different personal narrative-writing techniques, each designed to help you tap into your own spiritual well. Inspired by the psycho-spiritual theories of Abraham Maslow, Erik Erikson, and Lars Tornstam, you will leave this workshop with a nuanced understanding of the Third Act as an exciting time of great potential, opportunity, and insight. Lecturer biography: Following 30 rewarding years as a college professor and administrator, Lee now works in the area of spiritual gerontology. Influenced by Celtic spirituality, she sees her current role as more of an anam cara, a soul friend who guides learners to a deeper, more nuanced understanding of the spiritual dimension of their own aging journey. We write to taste life twice: once in the moment and once in retrospection (Anaiis Nin). This is an invitation to re-collect, record, and share the stories from your life. Participants will be invited to use a variety of prompts and writing strategies as a way of accessing and generating life-stories. Please bring your writing instruments to a safe environment where you can write, share your writing with others, and begin building your collection of life stories. Workshop outline – coming soon! Lecturer biography: Dr. Anna Rumin is a native Montrealer, whose identity has been shaped by the political landscape of her home province, her Russian roots, and a passion for life-long learning that has been woven both formally in educational institutions, and informally through travel, voracious reading, the belief that each person has a unique story to tell, and a near obsession with the outdoors, be it in the forest, on a lake or a mountain. Regardless of who she is working with, Anna is committed to supporting those she leads, by providing them with opportunities to set and meet their goals. Her guiding questions in both her professional and personal life are: “why am I doing what I am doing and how is that practice supported through research, experience, an ethic of caring, and wisdom?” Having moved to Ottawa in the fall of 2014, Anna continues to look for ways in which she can make a meaningful contribution to the community using the skills she has acquired in the journey that is her life. Hemingway said, “in order to write about life, you must live it”. Whether we call ourselves writers or not, writing gives clarity to our lived experiences. This is a workshop for those who are interested in pausing, looking back, and honouring their lives through focused journal writing. While the goal of this writing workshop is to gather memories and stories, participants can expect to learn about writing as a craft, and how we go from writing for ourselves to writing for others. We will move from daily “me-centered” free-form writing that is often the spark for creativity, to writing with a purpose and audience. Poet Muriel Rukeyeser once said: “Breathe-in experience, breathe-out poetry”. In these classes, we will take an enjoyable look at examples of poetry from some of the world’s great authors, from the classical to the contemporary. We will consider what skills to employ when writing poetry. We’ll also do in-class poetry writing exercises, and have discussions about writing and publishing. We will also look at some of your own poems in a non-threatening, open-minded atmosphere. Open to any style of poetic writing. Note: This workshop is open to new students and students who have taken previous poetry workshops with Mark. Lecturer biography: Mark Frutkin’s work, including eight novels, three poetry collections, and three books of non-fiction, has been published internationally and translated into seven languages. In 2007, his novel, Fabrizio’s Return (Knopf), won Ontario’s Trillium Book Award and the national Sunburst Award, and was nominated for the Commonwealth Writers’ Prize (Canada/Caribbean region). His collection of poetry, Hermit Thrush, was shortlisted for the Ottawa Book Award in 2016. In the 1970s, he spent ten years living in the Gatineau Hills north of Ottawa in a log cabin with no electricity or running water. With nothing to do but read, write, shovel snow, and chop wood, this period served as his apprenticeship to becoming a writer. He has worked as a journalist and critic for the Globe & Mail, Harper’s, the Ottawa Citizen, the Montreal Gazette, amazon.ca/com, and other print and online media, and served as co-editor of ARC Poetry Magazine. 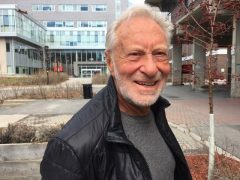 Over the years, he could be found teaching creative writing at Carleton University, and the Universities of Ottawa, New Brunswick and Western Ontario. 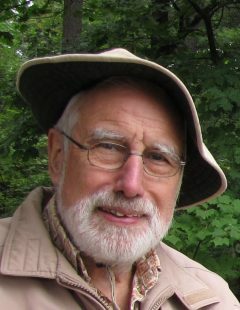 He has received numerous grants for writing from the Canada Council, the OAC, and the City of Ottawa. See more details at markfrutkin.com. 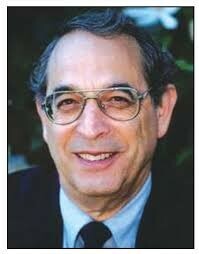 Read what LinR participants have said about Mark Frutkin. This workshop will provide participants with the skills to feel comfortable while communicating during a trip to Italy or in an Italian environment. This workshop will teach you how to introduce yourself, make hotel reservations, ask for directions, make a phone call, write an email, order in a restaurant, and face emergency situations. One field trip will familiarize participants with Italian food products in an Italian shop. Audiovisual materials about Italian culture, music, and daily life will also be a part of the workshop. Vi aspettiamo! This workshop will provide participants with the skills to feel comfortable while communicating during a trip to Italy or in an Italian environment. This workshop will teach you how to introduce yourself, make hotel reservations, ask for directions, make a phone call, write an email, order in a restaurant, and face emergency situations. One field trip will familiarize participants with conversing and ordering in an Italian restaurant. Audiovisual materials about Italian culture, music, and daily life will also be a part of the workshop. Vi aspettiamo! Note: May 29th class will take place at the regular time at Mamma Teresa Ristorante, 300 Somerset St. W. An additional flat fee of $26.00 (HST included) is to be paid at the restaurant. This workshop uses the topic of Sardinia to practice and improve Italian language skills, which are preferably already assessed at A2/B1 (low intermediate level). While learning and speaking the Italian language, we will also be getting to know more about Italy’s (and the Mediterranean’s) second-largest island, which has a strongly recognizable natural and cultural landscape. Through a variety of sources like literary texts, maps, video clips, and guided activities, each lesson will address a specific theme: legends, Christian and pagan rites and celebrations, art, archeologic discoveries, endemic animal species, and trekking from inland Sardinia towards the sea. Note: The Winter 2019 Itinerari Italiani workshop covered different aspects of Sardinia and is a good companion to this one, but is not a prerequisite. Lecturer biography: Ms. Cristina Loi is a visiting instructor from Italy. She started teaching Italian at Carleton University last winter term. She is here in Ottawa on a joint project of the Italian Ministries of Foreign Affairs and Education. This project promotes and supports the knowledge and appreciation of Italian language and culture, in partnership with Italian studies departments of universities around the world. Read what LinR participants have said about Cristina Loi. This introductory Spanish workshop aims to provide participants with the grammatical and lexical elements that are essential for basic communication. Conversation topics will focus on travel and will include asking for directions, talking about the weather and the schedule, expressing food and accommodation preferences, describing places and tourist attractions, shopping for souvenirs, expressing medical concerns, and making an emergency call. Audiovisual materials will include cultural components related to different parts of the Spanish-speaking world. The workshop is practical for people who wish to be able to communicate in Spanish while travelling; it is also enjoyable for all armchair travellers. 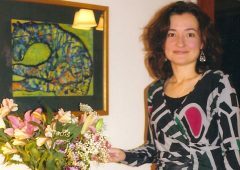 Lecturer biography: Ioana Dimitriu holds a PhD in Spanish Literature and an MA in Spanish Comparative Linguistics from the University of Ottawa (2010; 2002). Her Doctoral dissertation focused on the figure of the labyrinth as a literary metaphor in the fantastic prose by Argentine author Jorge Luis Borges, and by Romanian historian of religions Mircea Eliade. She worked as an Assistant to the Ambassador of Argentina to Canada, and as a Spanish Sessional Lecturer at the University of Ottawa (2001-2008) and at Carleton University (2010 – 2018). In addition, Ioana has several years of experience teaching Spanish to adults who learn the language for travel purposes. Ioana’s personal interests include studying theology, exploring other cultures through reading and travel, and kayaking on Loon Lake in South-Eastern Ontario. Check out the Early Spring 2019 Session offerings now.